I baked these cookies for New Year’s Eve but I never got around to posting them. They aren’t the healthiest cookies in the book, but boy they sure are tasty! My favorite thing about this recipe is it’s so simple and quick, and the cookies come out absolutely delicious. Enjoy! In a large mixing bowl, cream the butter, sugar and vanilla until light and fluffy. Gradually add flour. Stir in pecans. 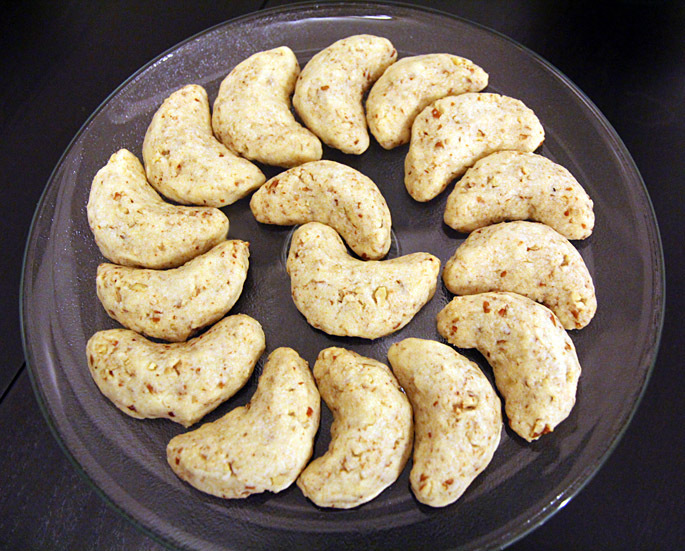 Next, shape rounded teaspoonfuls of dough into 2-1/2 inch logs and shape into crescents. Place them 1 inch apart on ungreased baking sheets. 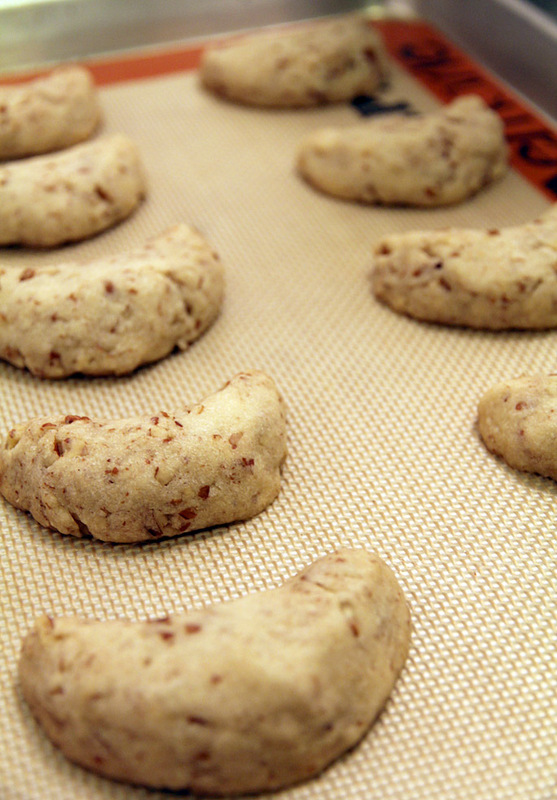 Bake at 325 degrees for 20-22 minutes or until set an bottoms are lightly browned. Let stand for 2-3 minutes before removing to wire racks to cool completely. 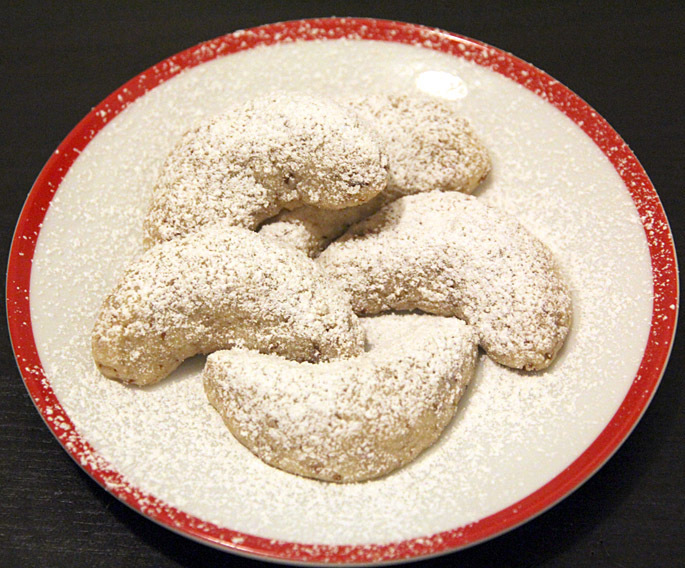 Dust with confectioners sugar before serving. That’s it, sweet and simple! I’m going to make these tonight!